This architecturally significant building was officially opened by His Royal Highness the Duke of Edinburgh on the 3rd November 2016. 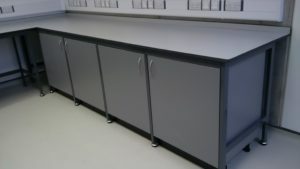 Working with Bouygues UK and Sheppard Robson, we delivered the laboratory FF&E package for the Sciences Building at University of Hertfordshire in Hatfield. 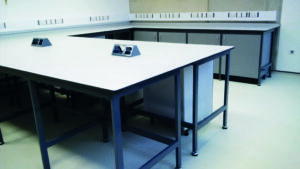 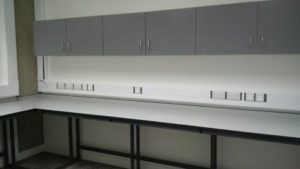 This specialist laboratory fit-out included Corian® tea points with glass splash backs, Corian® cup storage, Trespa® benching and associated framework, sanitary ware and bespoke Trespa® mobile units.